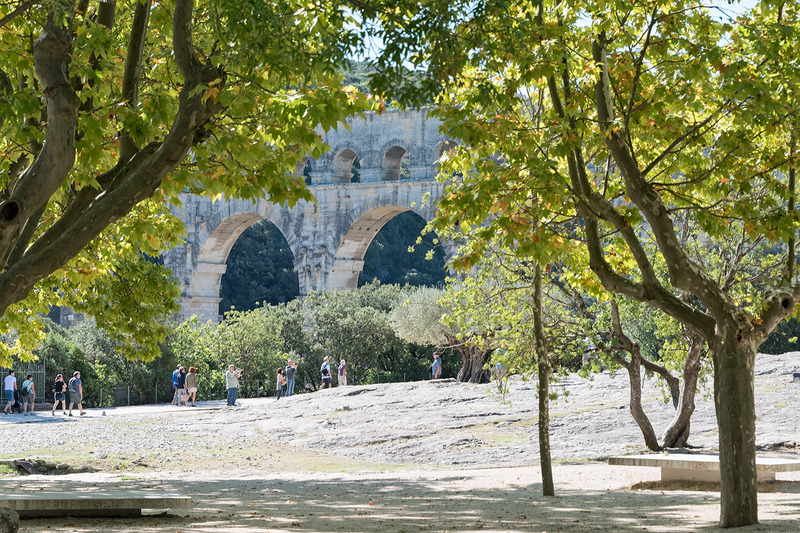 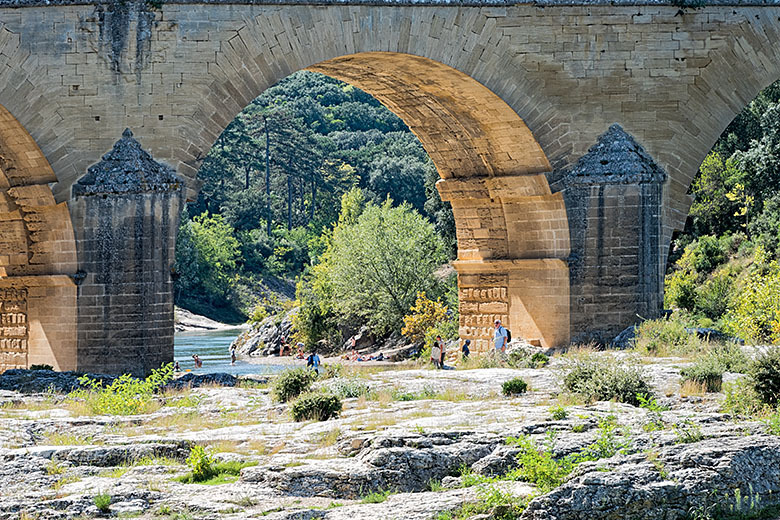 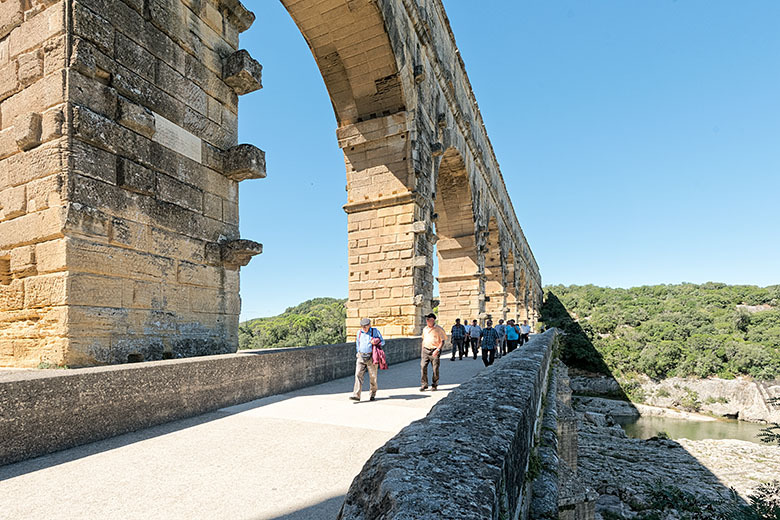 The Pont du Gard has been crossing the Gardon for some 2,000 years! 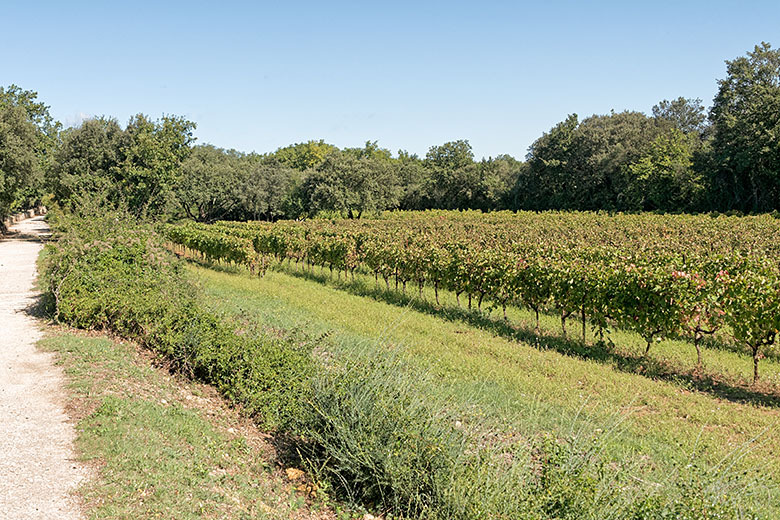 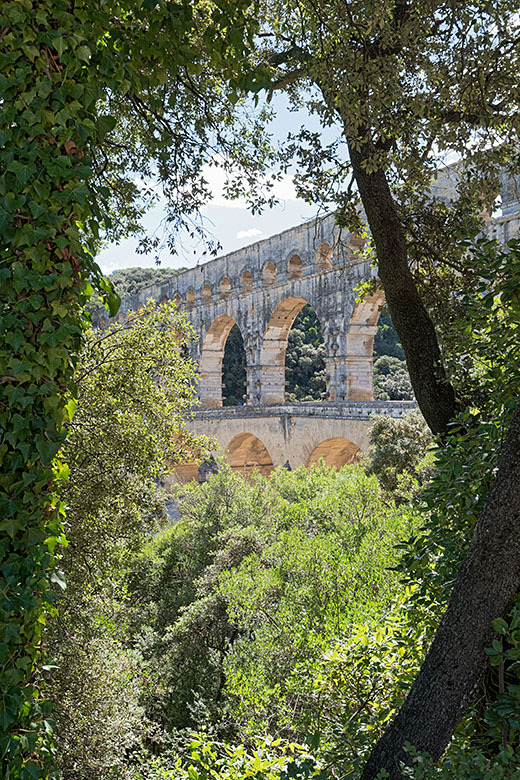 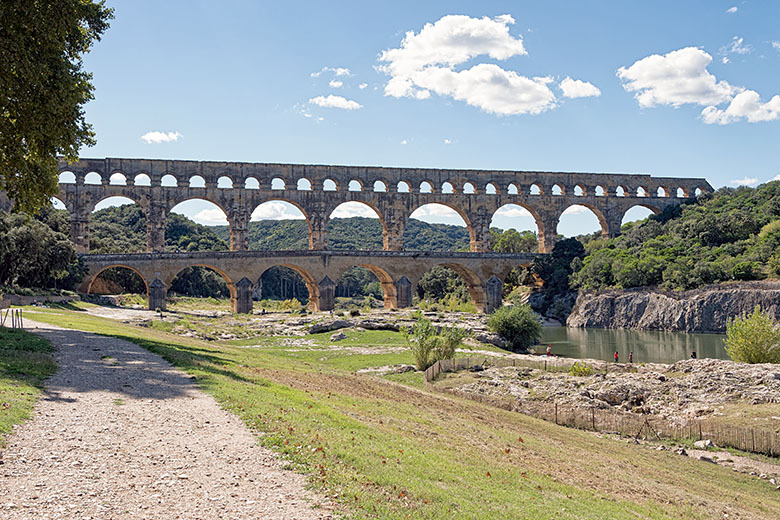 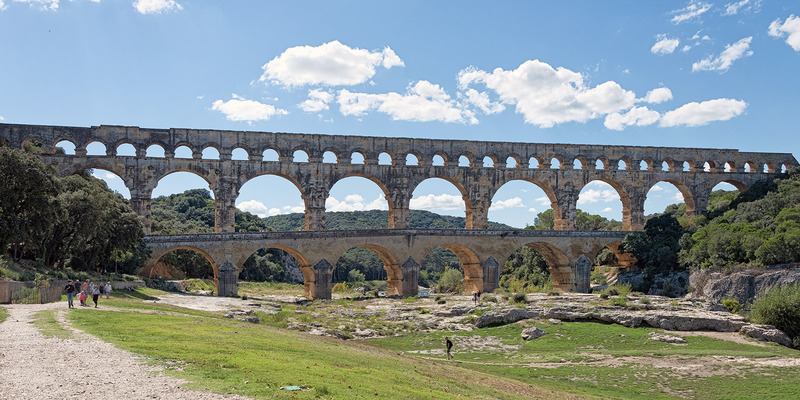 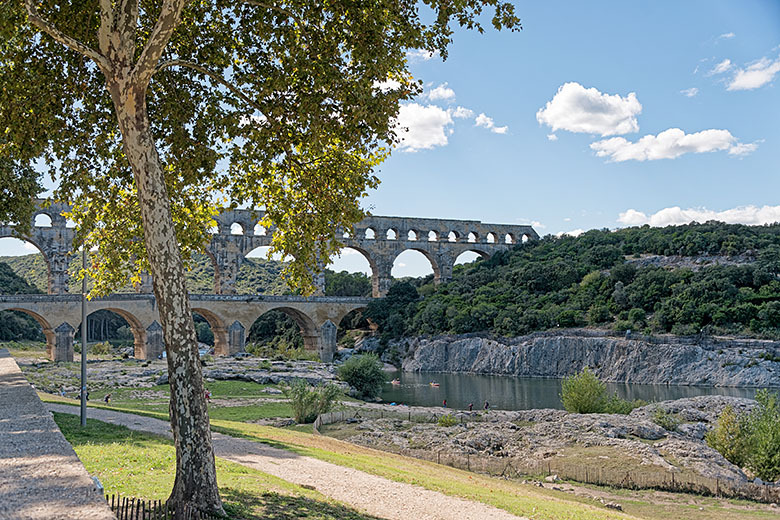 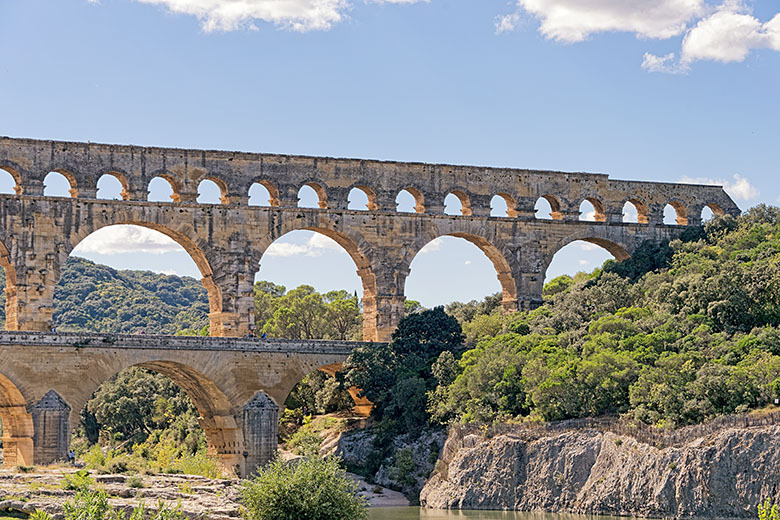 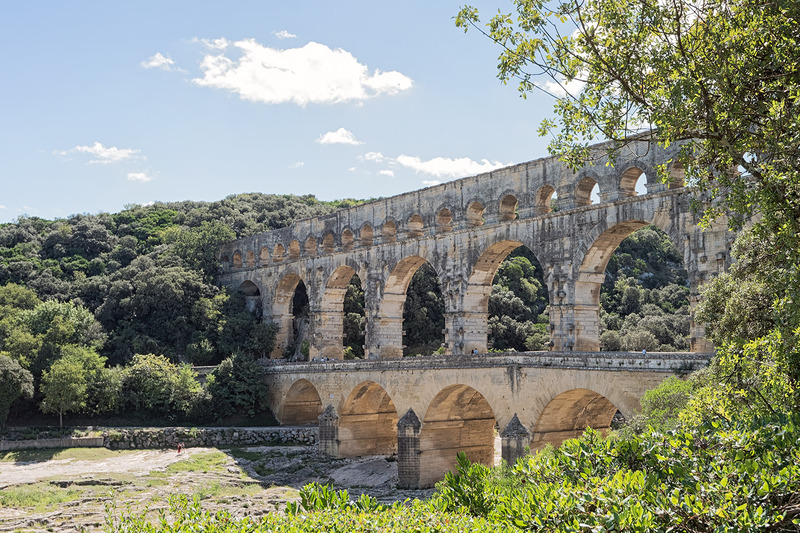 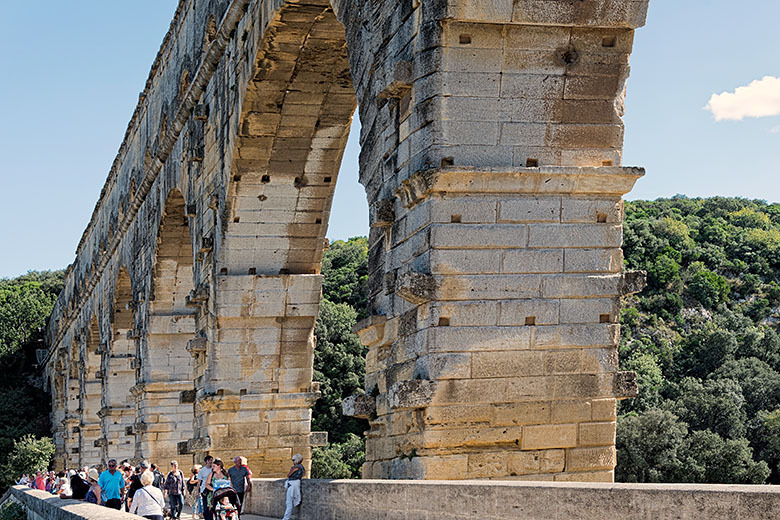 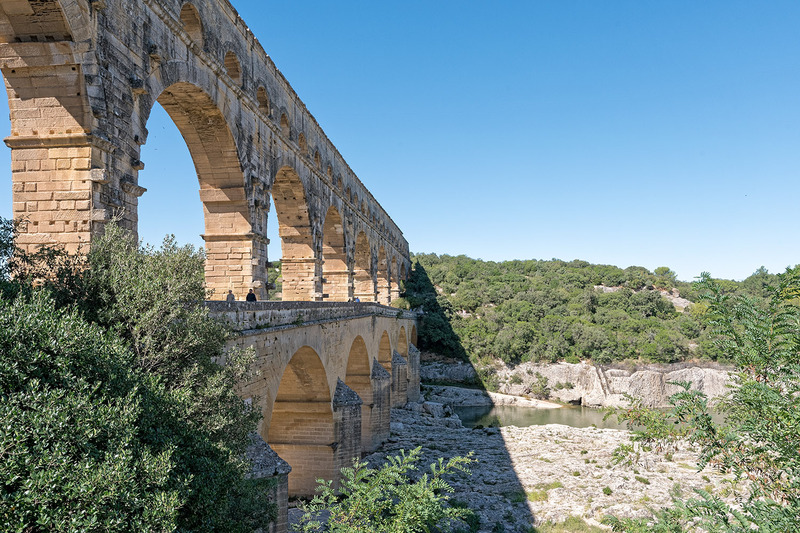 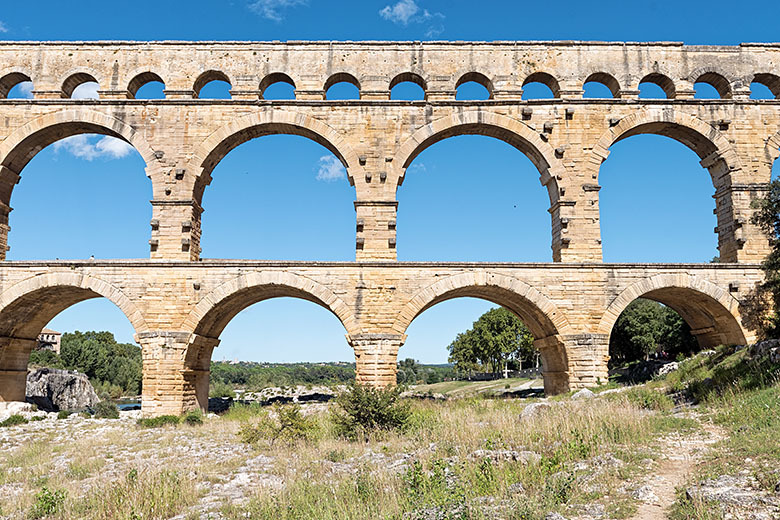 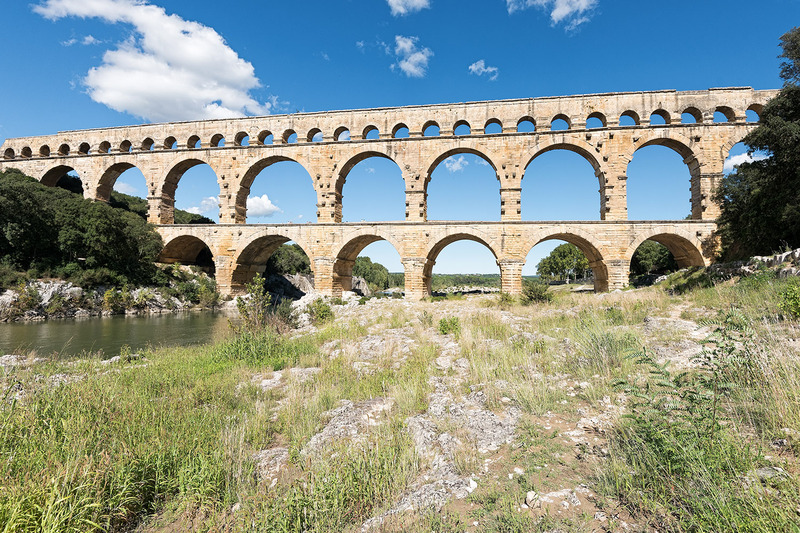 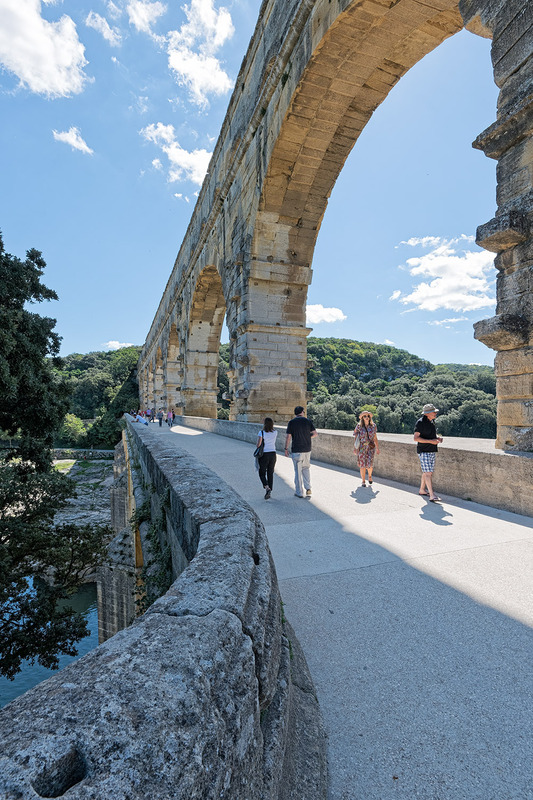 During the first century AD, the Romans built a 50 kilometer (31 mile) canal system to carry water from a spring near Uzès to the city of Nîmes. 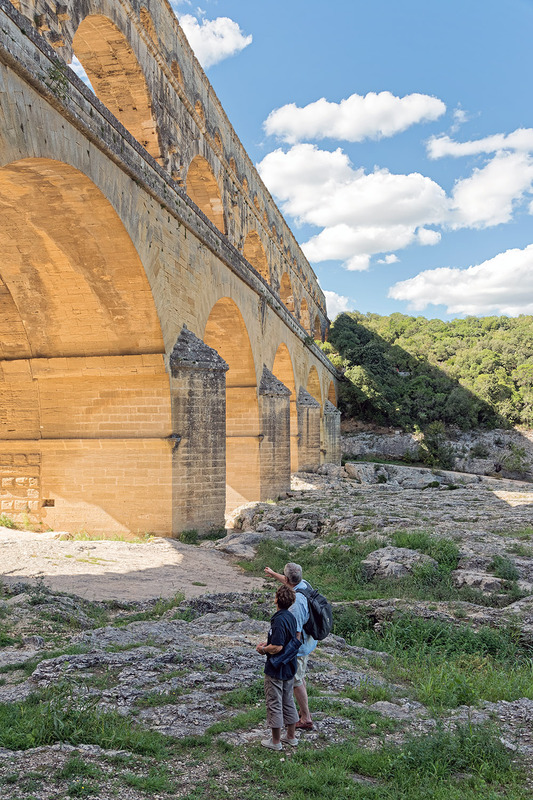 While mostly underground, a bridge had to be built to move water across the gorge of the Gardon. The limestone bridge has a height of 49 meters (160 feet) and used to carry an estimated 200,000 cubic meters of water (almost 53 million gallons) per day. 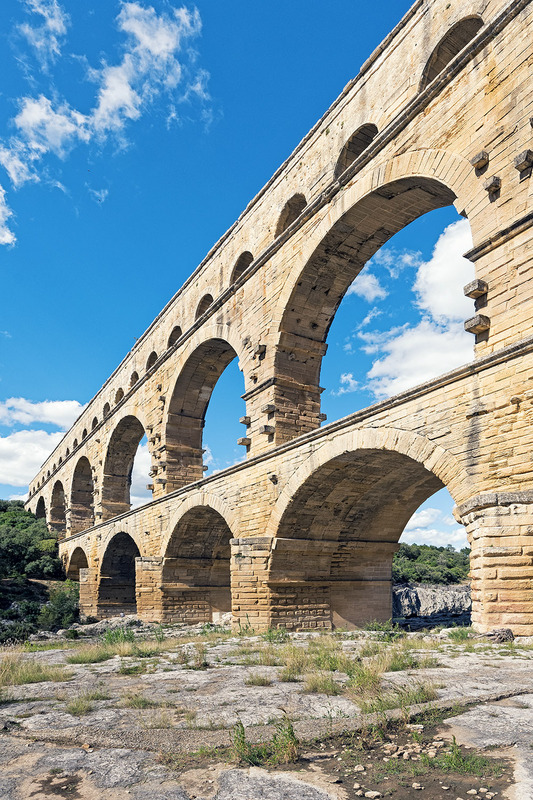 Over its entire length, the canal system descended in height by only 17 meters (56 feet), while the bridge itself dips by a mere 2.5 centimeters, just under one inch! 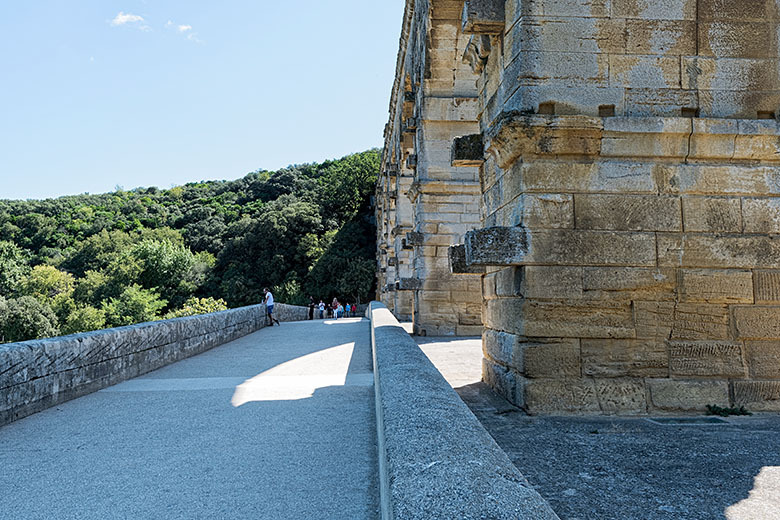 On September 18, 2015, my friend Didier and I visited the Pont du Gard. I hadn't been there in many years; access used to be free, but I remembered the whole site as very dirty and somewhat run-down. 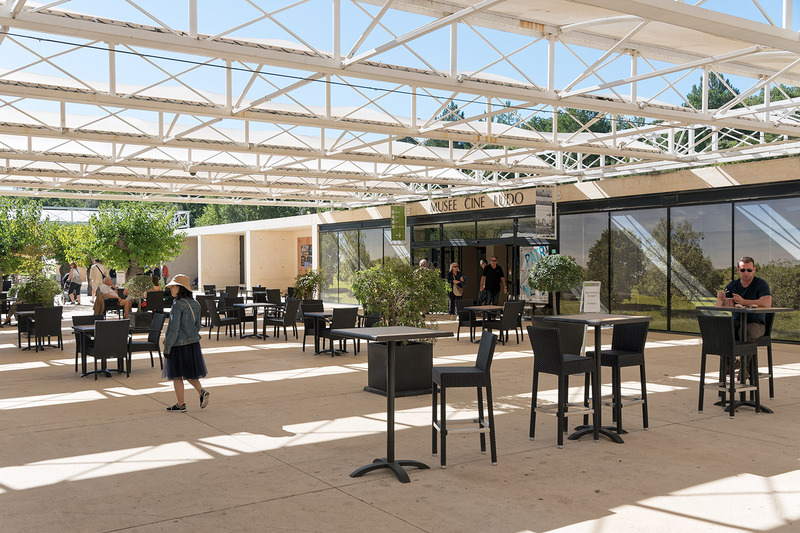 Today, one pays 18 € per visiting car (which includes access to the entire site for up to five people), and the grounds are immaculate and extremely well maintained. In my opinion, this is a huge improvement. 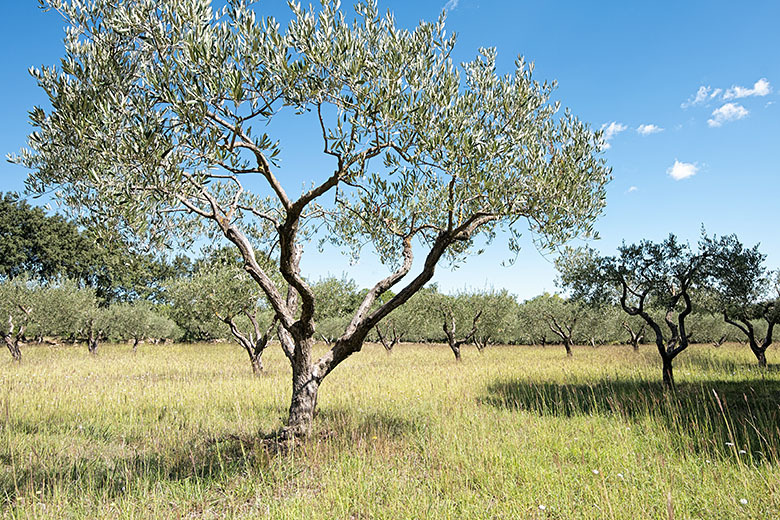 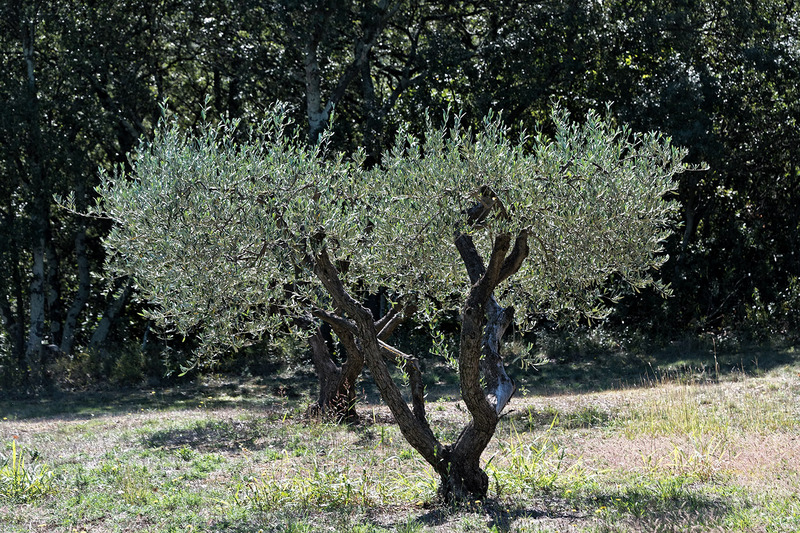 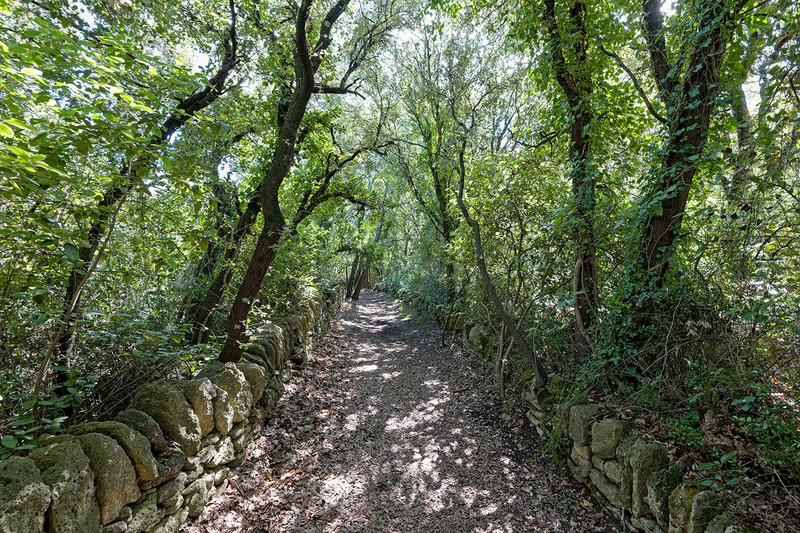 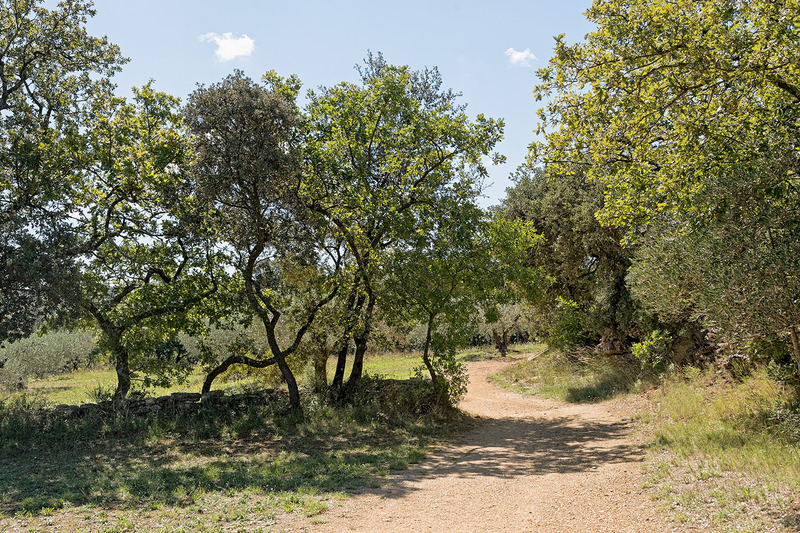 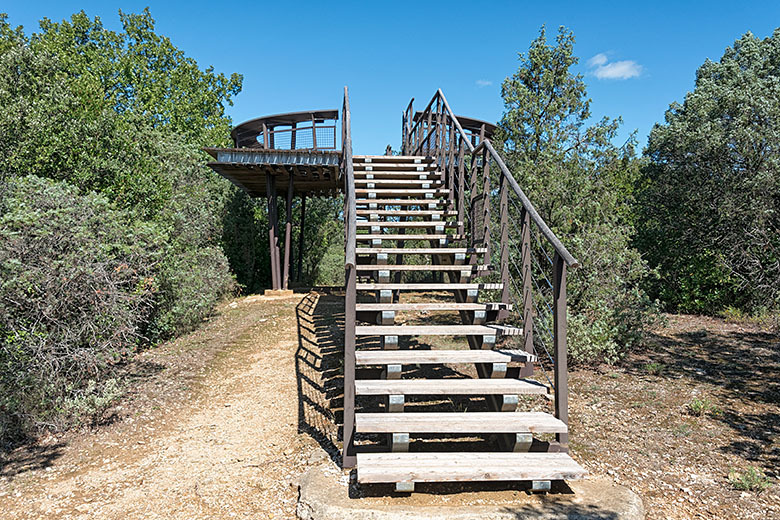 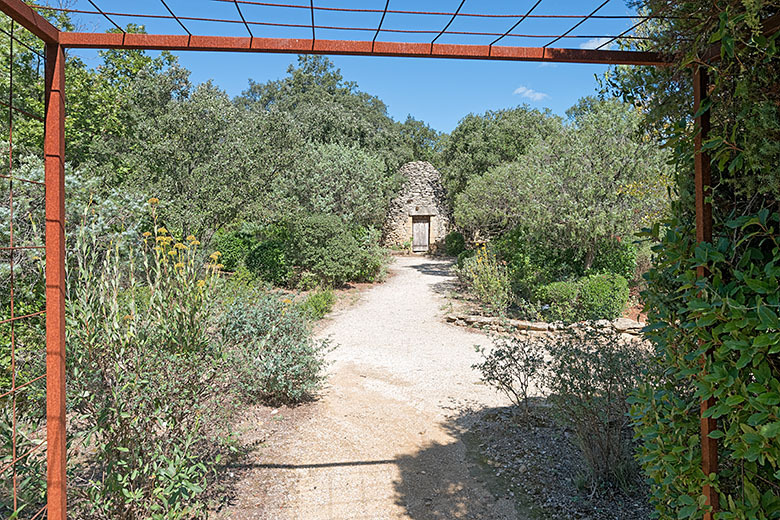 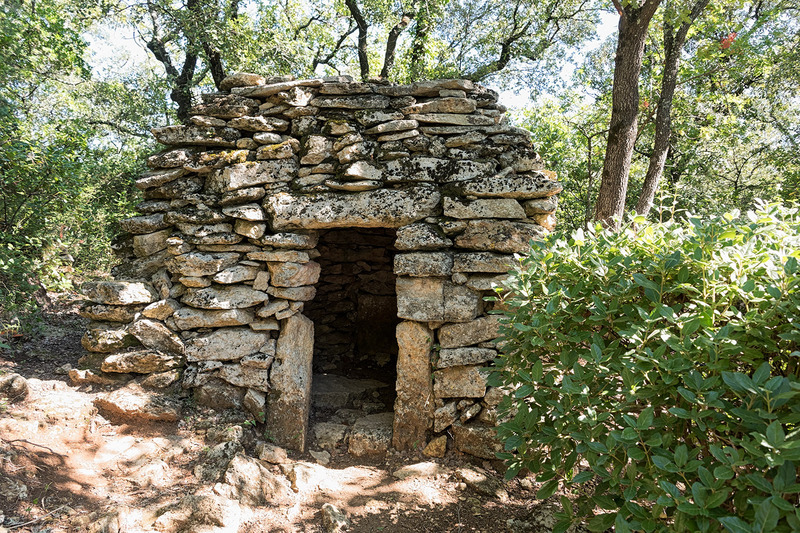 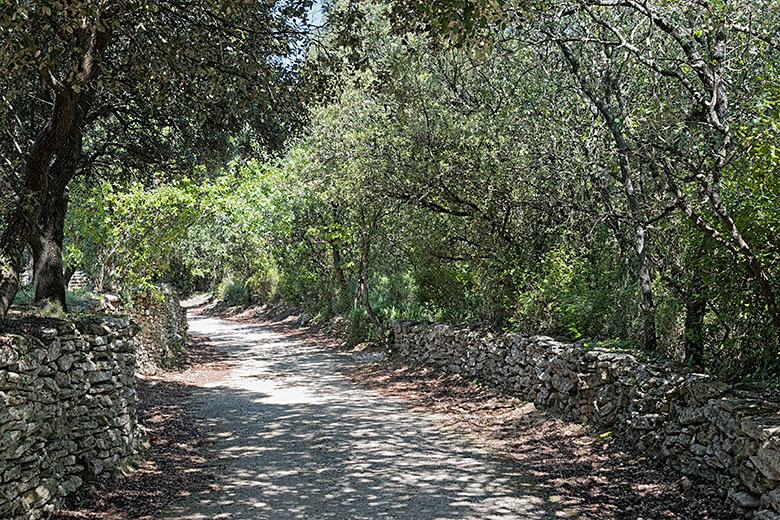 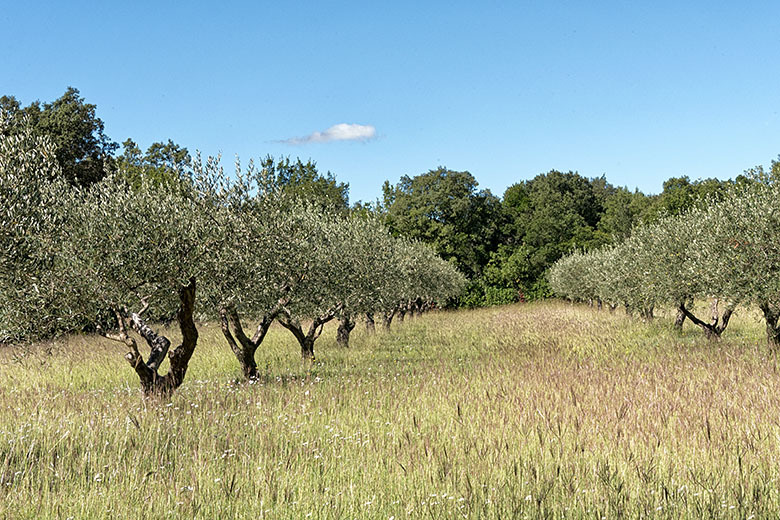 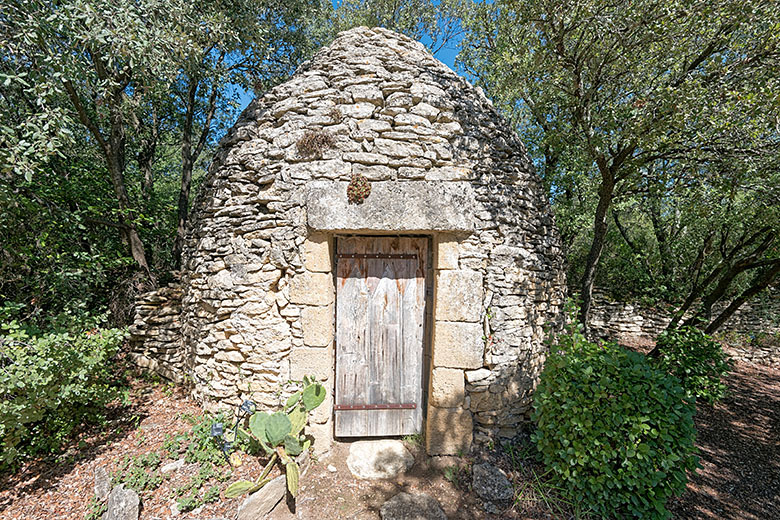 There is also a wonderful nature walk called Mémoires de Garrigue, a beautiful display of Mediterranean vegetation we happily explored. 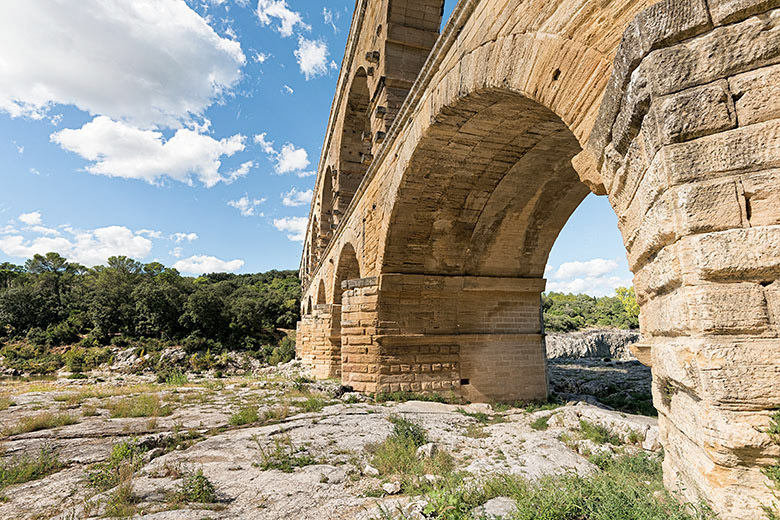 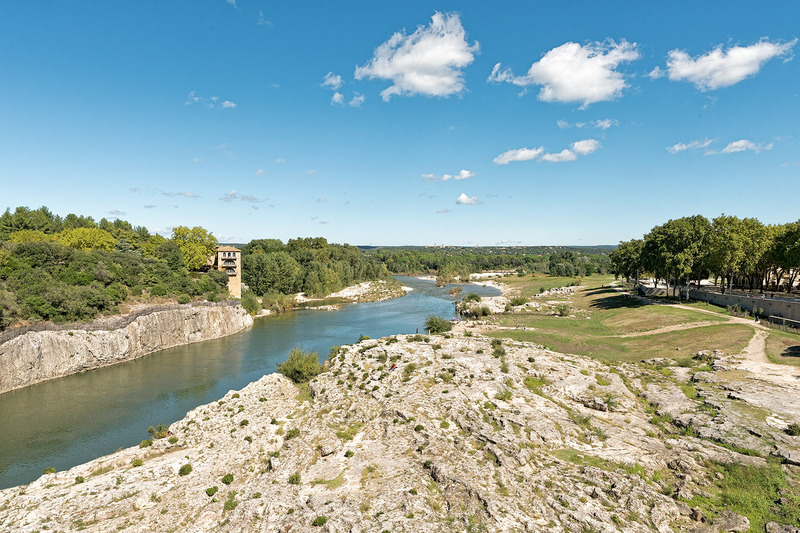 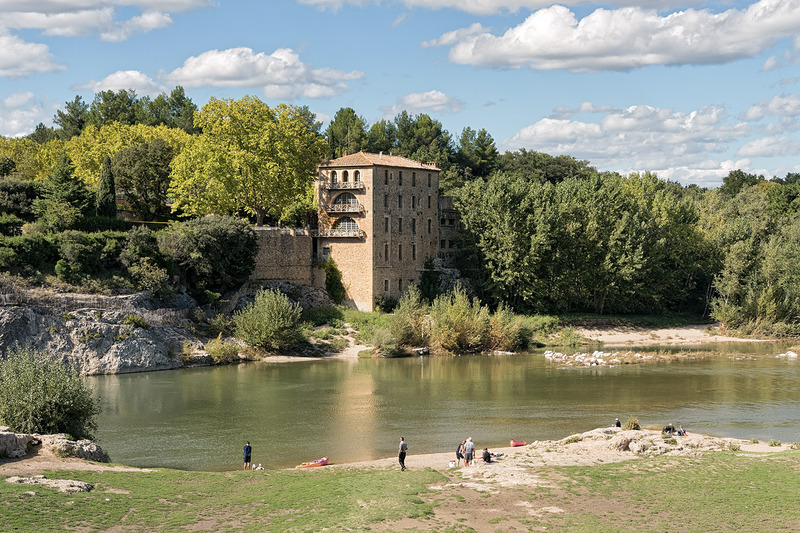 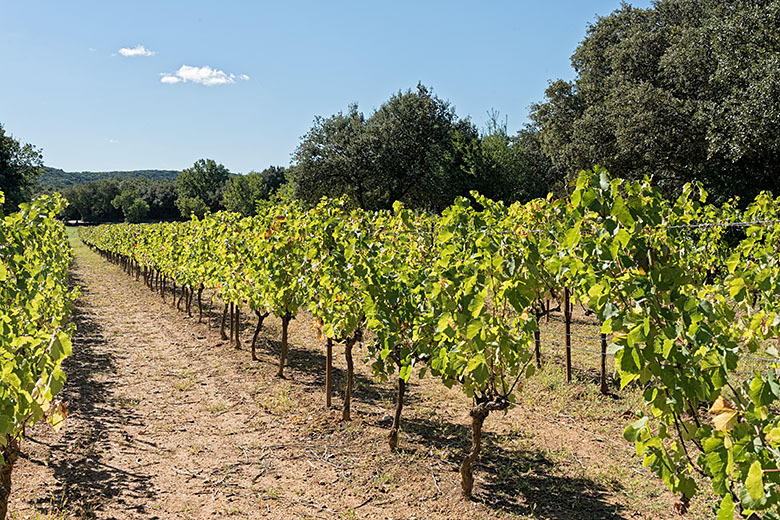 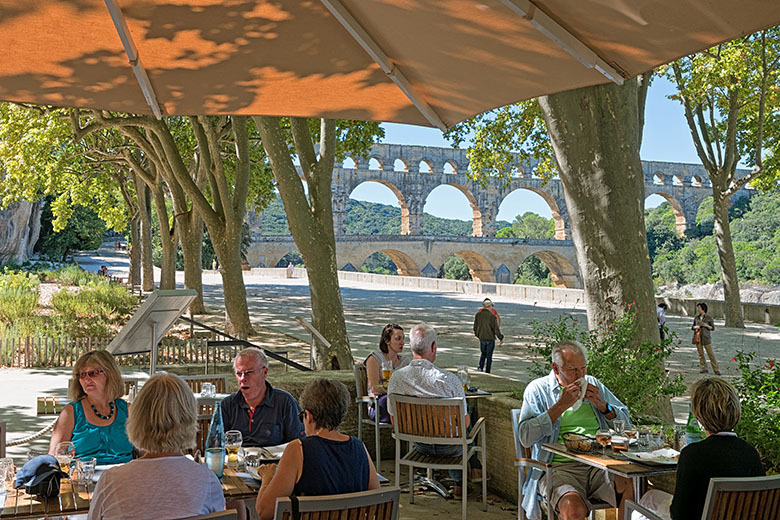 To find out more about the whole Pont du Gard site, you can visit its official web site. 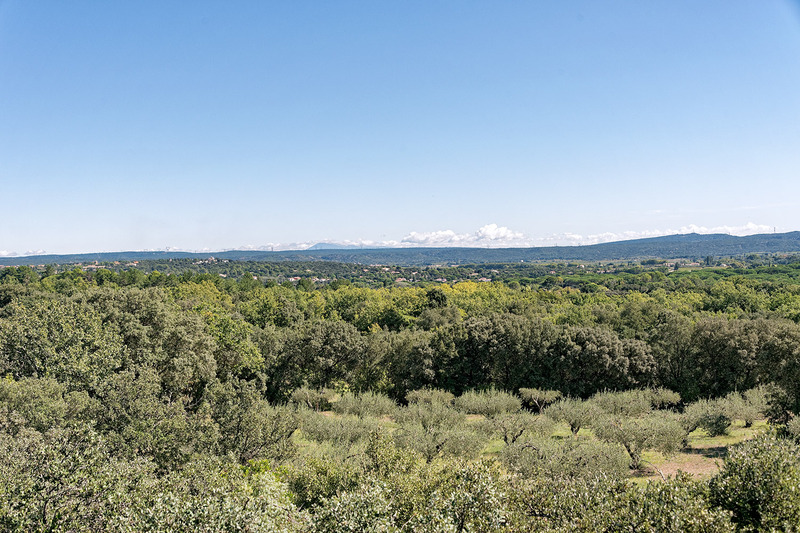 ...provides a lovely view towards the Rhône valley. These photographs are also available in one of our web galleries.